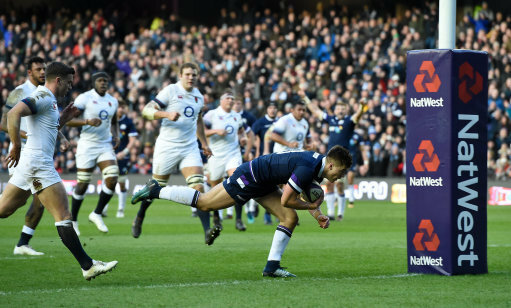 First of all let's be clear England were beaten by the better side and we congratulate Scotland on their win at Murrayfield this weekend, thouroughly deserved and well done to them! England on the other hand were just not up for this game. Jonno called it in the studio, when he said "you can't go to Murrayfield expecting to Win". My thoughts on this you should go to every game wanting to win but you have to be ready for the fight and therein lies the problem from yesterday........... England were not ready for the fight in fact they were complacent in the first half, much better in the second when it had finally dawned on them ............yes they were in a fight. So as the clock ticked away Scottish fans could be heard singing 'Flower of Scotland' which of course is a very prickly thistle. And the few England fans who attempted 'Swing Low' ......booed off the field by the Scottish fans........... 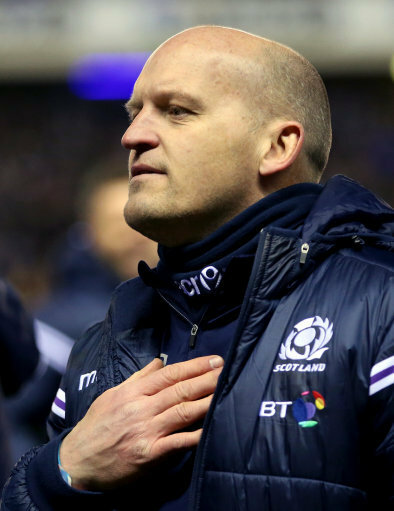 So Gregor Townsend's Army sent England homeward to think again. Dylan Hartley said afterwards "this is part of our journey", you bet it is! And I can't think of a better time for this to happen, England players need to taste the bitterness of defeat and the hurt. I would say this is ideal preparation building towards the RWC2019. Better now than in 2019. So onwards and upwards, work on the discipline and come back fighting against France. Scotland were too good for us, they deserve their victory," said Jones. "We just weren't in the game in that first 40 minutes and Scotland played well. "We knew what we were going to get but we didn't meet that challenge today, but in that second half I was proud of the way they stuck in there. Jones added: "We need to look at why we conceded so many penalties, and work out the reasons for it. It's never nice to get beaten, we have two games to go, we have a lot to learn and will put out best foot forward in our next game against France." Normally when watching the game against Scotland my stomach would be churning but yesterday it was not. I actually felt from the start we looked like we would be beaten. 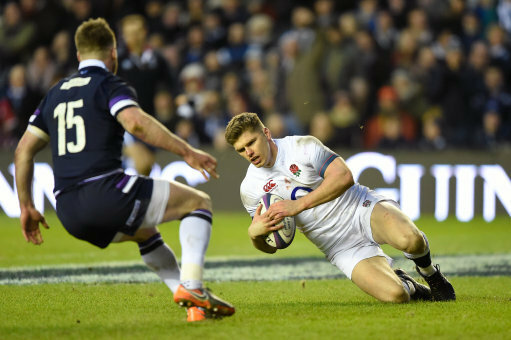 The ferocity of the tackles coming in and the speed Scotland were onto the ball and breakdown made me think Scotland wanted this more than England. And you know what? as an England fan I am ok with this for once. Because a very special man would have been watching Scotland yesterday, he will not know how many wins like that he will see again, that will be between him and the consuming disease that is effecting him. 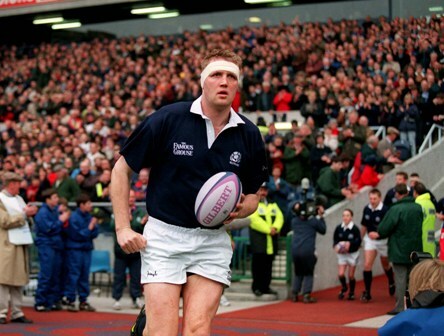 I am talking about Scotland, Lions, Melrose, Falcons and rugby legend Doddie Weir who is fighting motor neuron disease. I am sure you enjoyed that WIN Doddie! Scotland: Hogg, Seymour, Jones, Horne, Maitland, Russell, Laidlaw; Reid, McInally, Berghan, Gilchrist, J Gray, Barclay (capt), Watson, Wilson. England: Brown, Watson, Joseph, Farrell, May, Ford, Care; M Vunipola, Hartley (capt), Cole, Launchbury, Itoje, Lawes, Robshaw, Hughes. 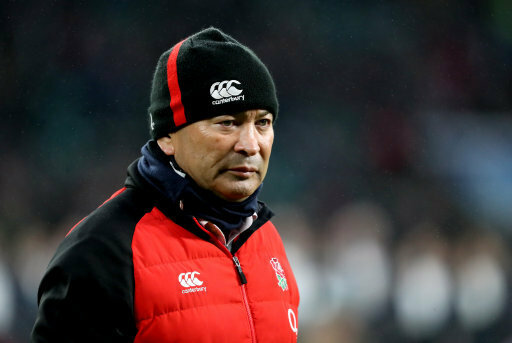 Replacements: George, Marler, Williams, G Kruis , Underhill, Wigglesworth, B Te'o, J Nowell.